The pieces are slowly starting to come together for the highly-anticipated The Batman reboot, which has Joe Manganiello coming aboard as the main villain Deathstroke. Ben Affleck stars as the title character, directing, and writing the script with Geoff Johns. While Warner Bros. hasn't issued an official release date, Joe Manganiello claimed that production begins this spring. That hasn't been confirmed, but Ben Affleck has offered a new update while promoting the U.K. release of his thriller The Accountant. Last month, Ben Affleck stated that The Batman movie isn't happening quite yet, since they are still trying to figure out the script and the budget, and he has also said in the past that the movie won't happen until the script is perfect. IGN spoke with Ben Affleck, who revealed he is still working on the script and trying to get it right, admitting that it isn't a movie he could "fail quietly" at. Here's what the actor/writer/director had to say below. "Last night I spent (time) working on the script. I'm in full-on 'trying to get it right mode'. It's not the kind of movie that you can fail quietly at. You have to really be sure that I have something that I feel really confident about before we go forward." While promoting the domestic release of The Accountant, both Ben Affleck and Anna Kendrick participated in a bit where Anna Kendrick overtly hinted that she wants to play Robin in the movie, even appearing in her own Robin costume. Joe Manganiello even sent out his support through social media. Both Ben Affleck and Anna Kendrick were paired for this new interview, where they were asked about Anna Kendrick possibly playing Barbara Gordon, a.k.a. Batgirl, with Ben Affleck teasing that he'd give her the role if he was given a singing role in Pitch Perfect 3. The Accountant also stars J.K. Simmons, who would later be cast as Commissioner Gordon in Justice League, and will presumably return in The Batman. Ben Affleck reveals that this movie is where he first met J.K. Simmons and got to know him and respect his work, and his casting as Commissioner Gordon "emerged" from their work together in The Accountant. 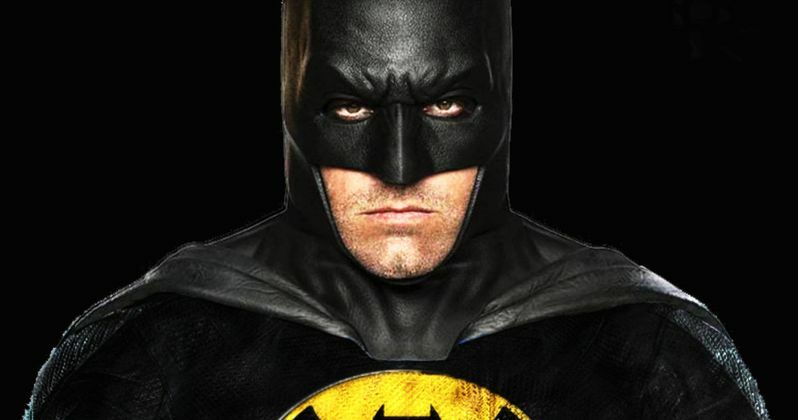 Take a look at Ben Affleck and Anna Kendrick's video interview below, as we wait for more on The Batman.